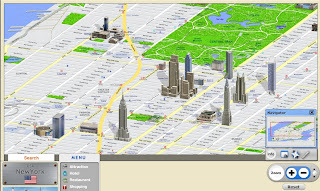 Onion Map - uses 3D map display main cities around the would, like New York City, Beijing, Tokyo, Paris, Roma, Berlin. Earth Album - a Flickr image with Google Map, display relevant photos around the world. Country Postal Code Search on Map - use Google Map display some countries' postal code, like Australia, India, US, Canada, UK, Mexico and so on. 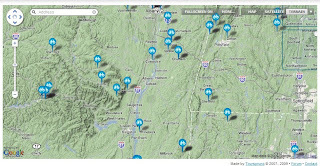 Bike Map - use Google Map to display bike route around the would. 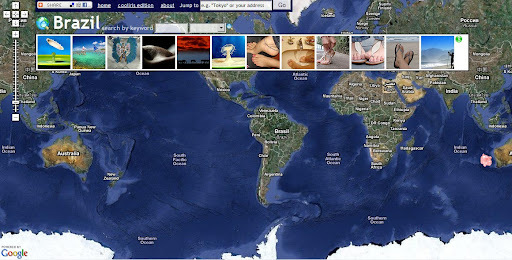 Tour Mapr - tracks artist worldwide tour performance on Google Map . 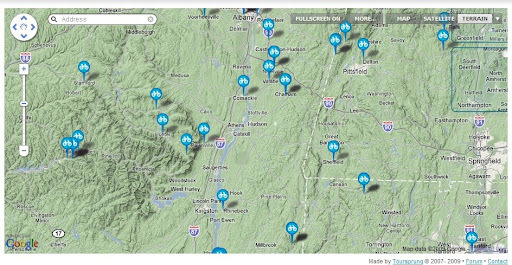 Seero - lets you add video onto Google Map.